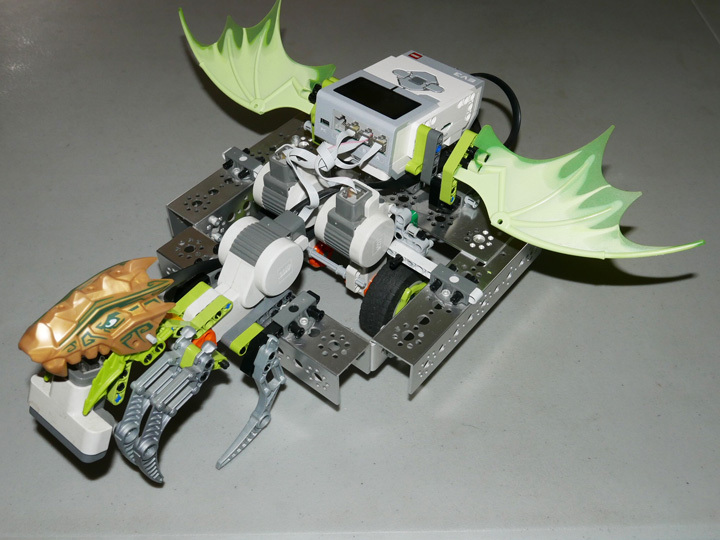 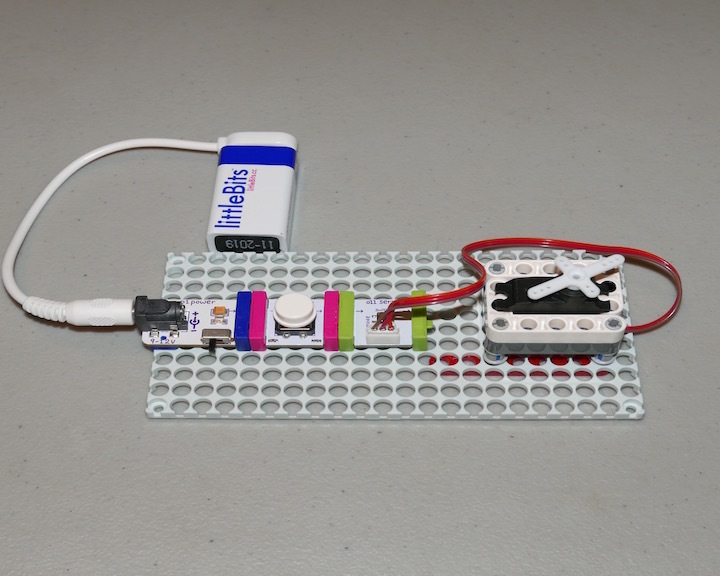 Using littleBits® and LEGO® - What is littleBits? 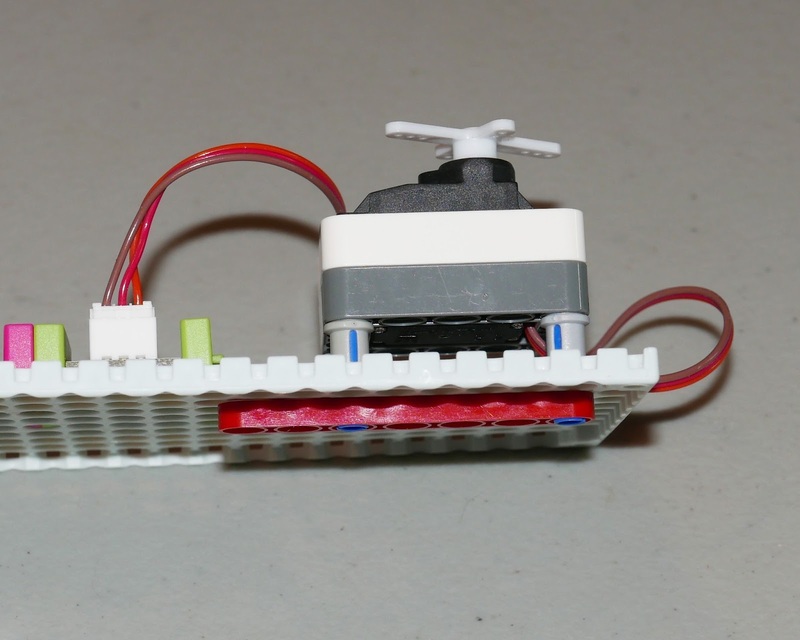 It is an electronic modular building system. 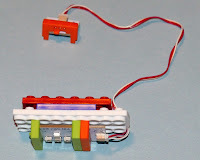 “Bits” are electronic building blocks that are color-coded (Power, Input, Output, Wires) and connect to each other magnetically to form electronic circuits. 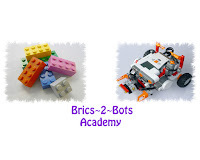 The simplicity of building with them makes complex technology more understandable and definitely fun. 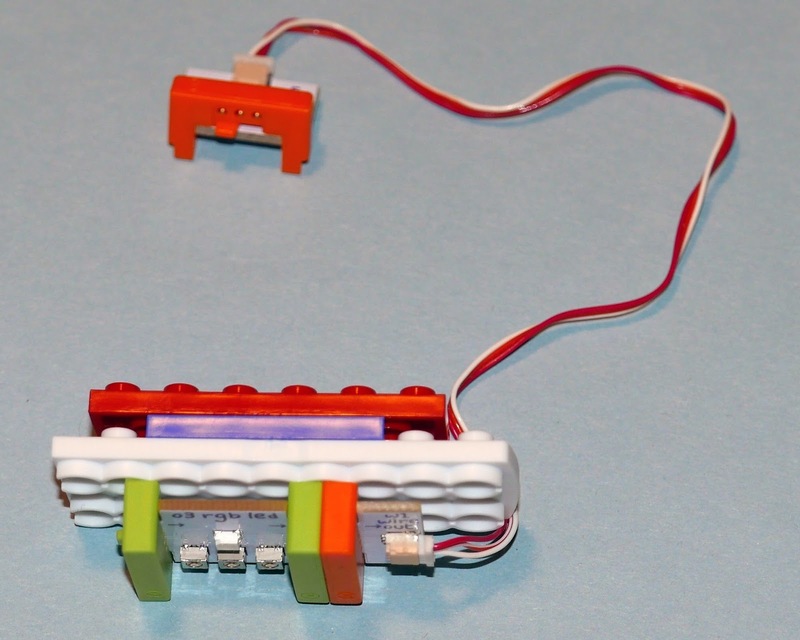 littleBits® has a Brick Adapter so that you can attach the Bits to a LEGO model – so cool! 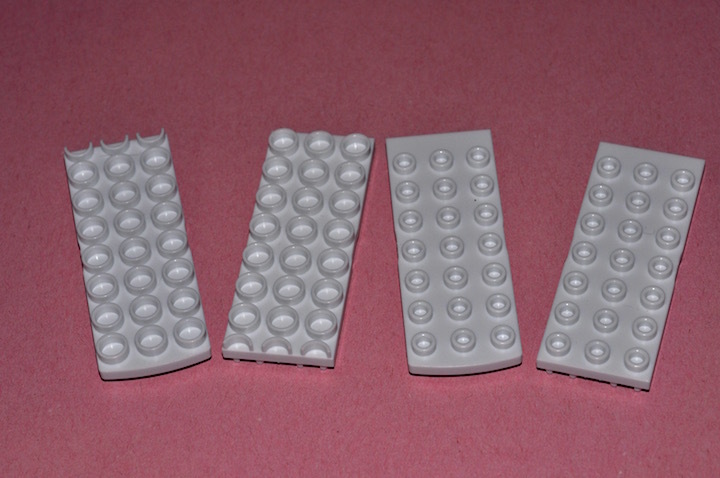 There are 4 types of Brick Adapters that you will receive in a kit or order separately as a package. 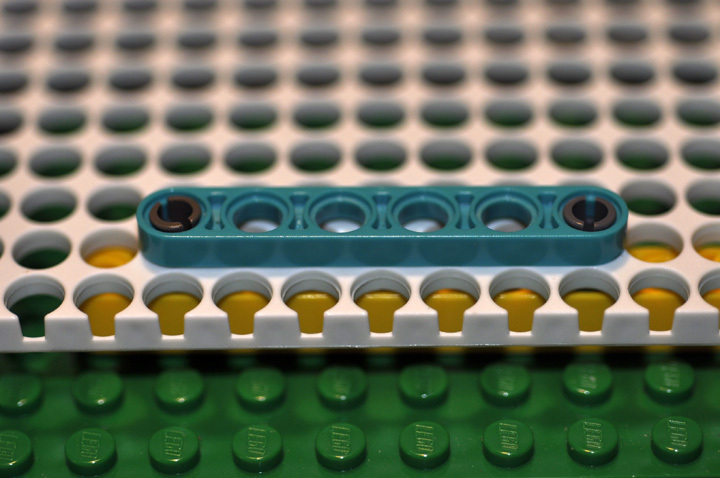 Note: When stringing several littleBits Brick Adapters together and attaching them to LEGO bricks they have to be fitted a certain way. 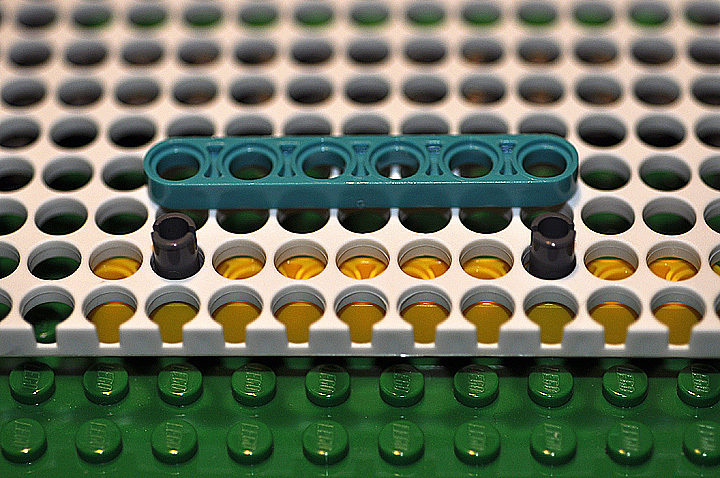 Q-Tip: If you are having trouble getting Bits, Brick Adapters, and LEGO elements to “stick,” try first attaching the Brick Adapters to the LEGO elements, then connect the Bits to the Brick Adapters by snapping them starting at the top then at the bottom or vice versa rather than trying to push from the middle of the Bit. 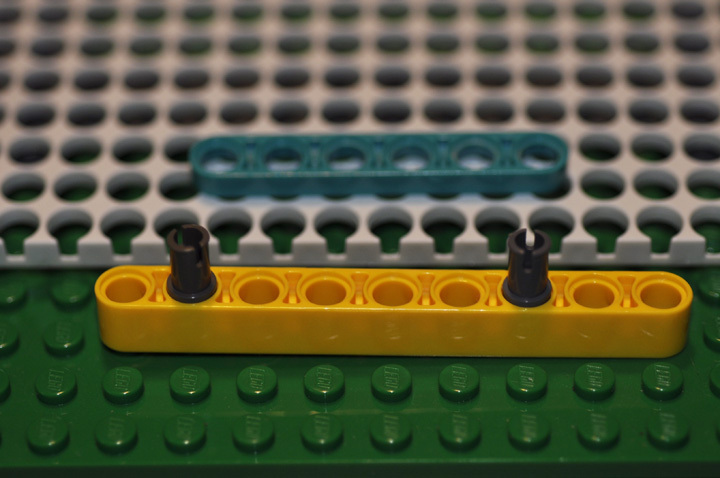 Be sure to press only on the “shoes” - the color ends of the Bits. 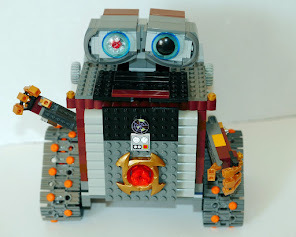 Even after snapping your Bits and LEGO elements together they still might come loose. 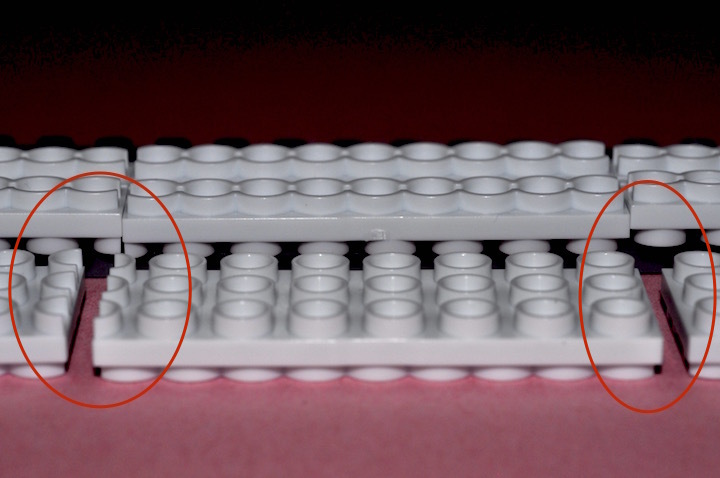 Try securing them with additional building elements. 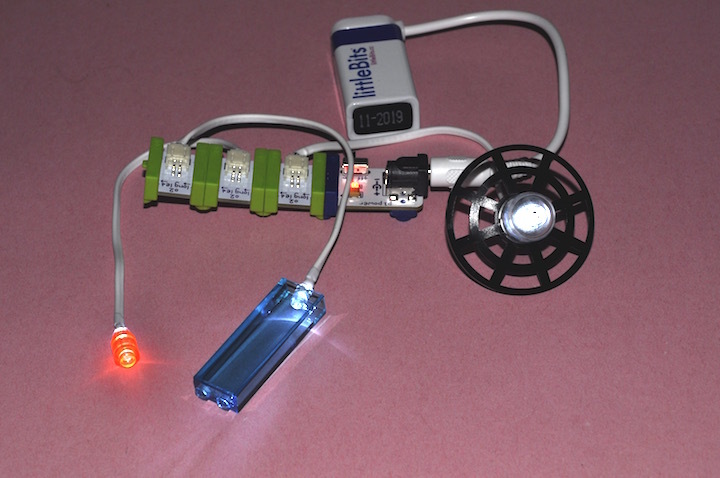 It will also make the project look better. 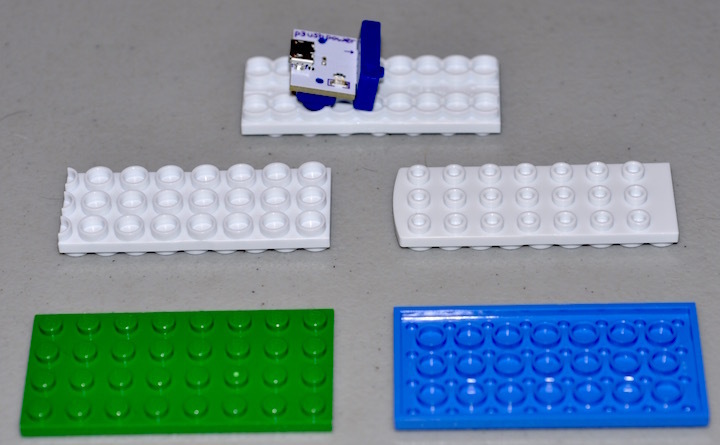 Besides bricks, bricks w/holes, and plates, what other LEGO elements can be attached to littleBits? 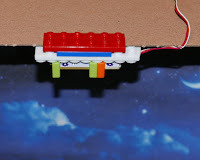 How to attach a littleBits Mounting Board to LEGO Connect a LEGO Technic Beam to the studs on a LEGO building plate. Insert Half Pins (short end) into the Beam; you will discover that when you count from the first insertion pin, every fifth hole on the Beam will match a hole on the littleBits Mounting Board. 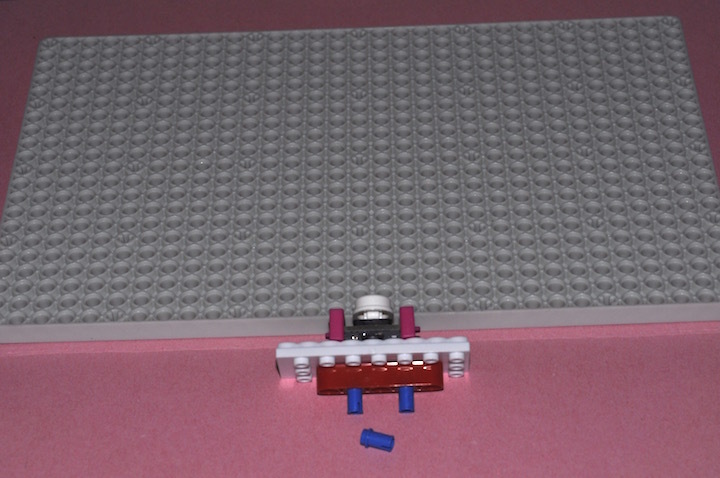 Attach the Mounting Board to the Half Pins in the Beam. 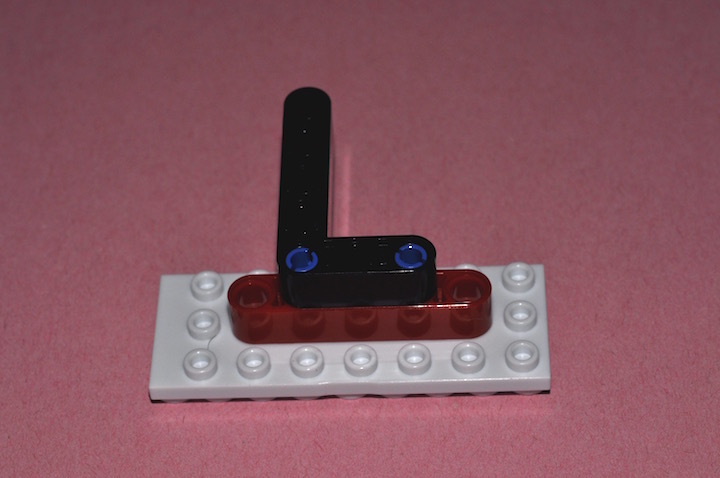 Secure with a LEGO #5 Half Beam. There is a Servo Motor Mount to attach it to the Mounting Boards; it is found in the RULE YOUR ROOM, GIZMOS & GADGETS 2nd Edition, and a new version of the mount in DROID INVENTOR. 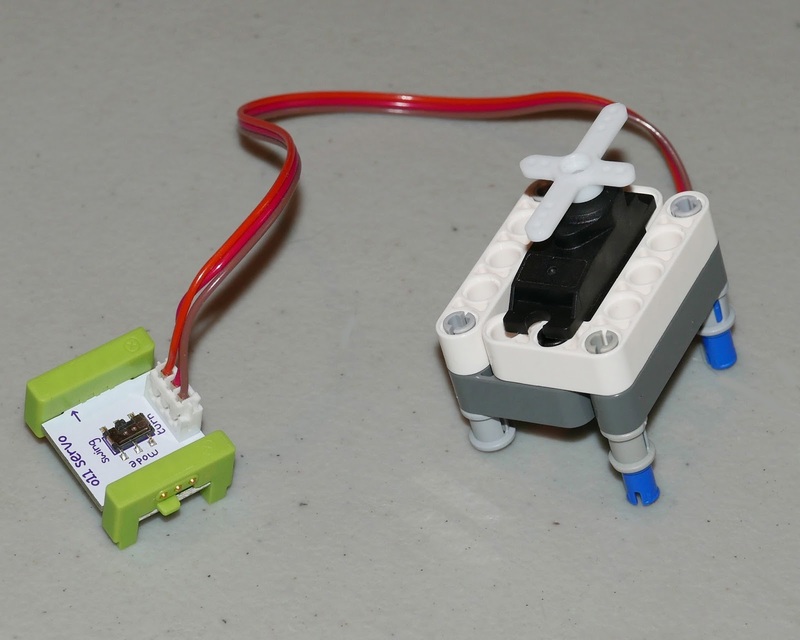 However, if you buy extra Servos you can't get the mount, except in a kit. 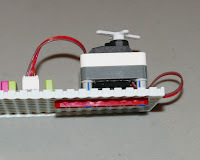 Well, if you are a LEGO builder, you can construct yur own Servo Motor Mount. 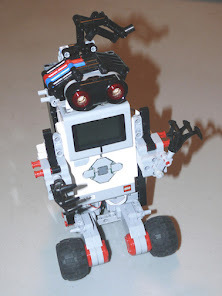 If you happened to have a MinuteBot Base (they are hard to find now) you can attach littleBits to the Base using the littleBits Brick Adapter, LEGO Beams and Half Pins. 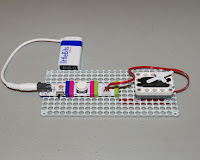 A "sandwich" of a littleBits Bit attached to an Adapter Brick with a LEGO 1x4 or 6, the cardboard box clamped with a 2x4 or 6. 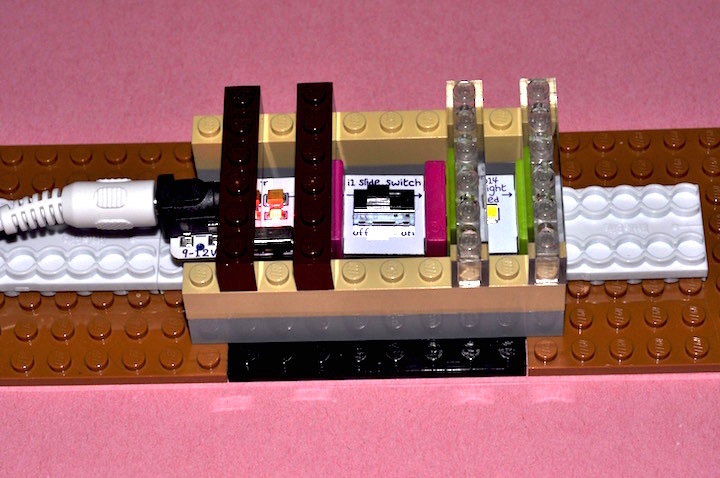 Then hide the rest of the littleBits behind the box. 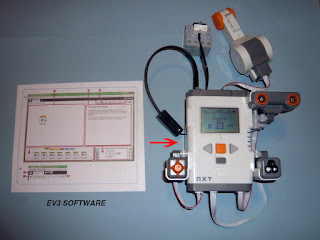 Note: LEGO MIndstorms EV3 IR Beacon (also an Apple remote and perhaps some other remotes) can remotely control littleBits when used with a Remote Trigger Bit.